With the Accent, you get plenty of creature comforts at a great price. In spite of its compact size, there's head and leg room to go around. Even tall drivers will feel at home throughout long commutes. You can fill the Accent with your besties and head out for a night on the town in complete comfort. The Kia Rio is also a roomy option. As in the Accent, the Rio cabin is less flashy than it is comfortable and supportive. However, budget-wise drivers looking at the base model should keep in mind that the steering wheel doesn't telescope. This could be a deal-breaker for tall drivers. We like the Accent's responsive touchscreen, which is coupled with redundant knobs and buttons. These come in handy when you want to make some quick climate alterations without messing with a touchscreen. The Accent's USB port even keeps your devices charged, so you can stream endless music on road trips. Kia's Uvo interface is another great option. Its straightforward menus make life easier because you can find the app you need without having to think about it. Unfortunately, however, Kia's upgraded infotainment system doesn't feature redundant buttons and knobs for easy access to features. 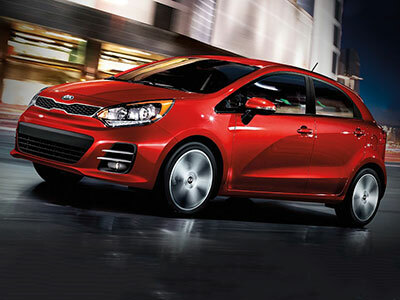 With its high-tech offerings, the Rio is our pick for safety. You can add a rearview camera, which increases visibility and even helps you spot obstacles in your path for a clean getaway. The automatic headlights provide the light you need without any action on your part. When you travel through new territory, use the Rio's navigation system to avoid getting lost. The Accent's safety features aren't as high tech, but this subcompact definitely has your best interests in mind. Hill-start assist keeps you from rolling backward at steep stops. We also like its braking performance, which brings you to a quick stop in a pinch. Here, the 2017 Hyundai Accent has the edge. Depending on powertrain configuration, it achieves up to 27 city/37 highway mpg. 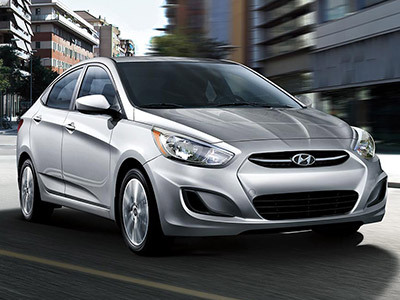 This subcompact also delivers strong acceleration, making city driving and highway merging that much simpler. The Kia Rio isn't far behind. It earns up to 27/36 mpg, giving you a thrifty ride to work. You'll also enjoy responsive handling - the Rio makes short work of curvy roads and sharp turns. These two subcompacts are known for their efficient performance and peppy rides, but the 2017 Hyundai Accent is our primary pick. Inside, it's roomy and accommodating - even tall drivers will feel right at home behind the wheel. The Accent's infotainment system is easy to use, keeping you connected throughout your daily grind. Safety features help you maintain control of your ride as well as your on-road confidence.